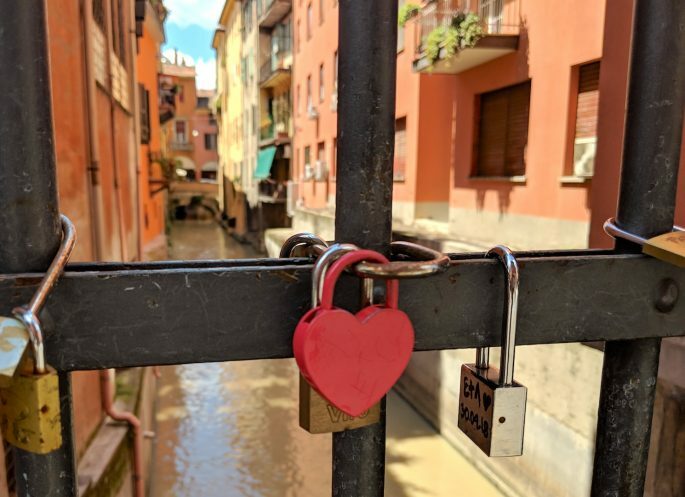 Looking for things to do in Bologna? Gelato is always a good idea. 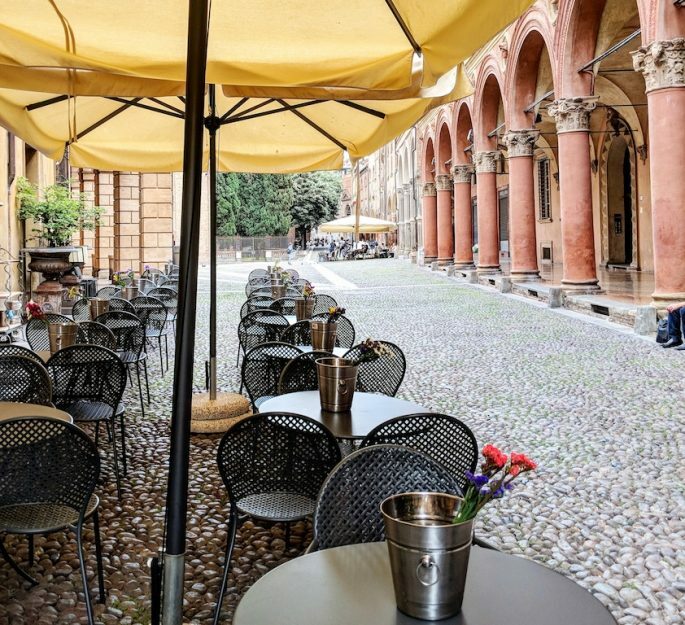 The university city of Bologna makes the perfect weekend setting for an the alfresco lesson in romantic architecture, multiple courses in amazing eats and an in-depth study of aperitivo culture. 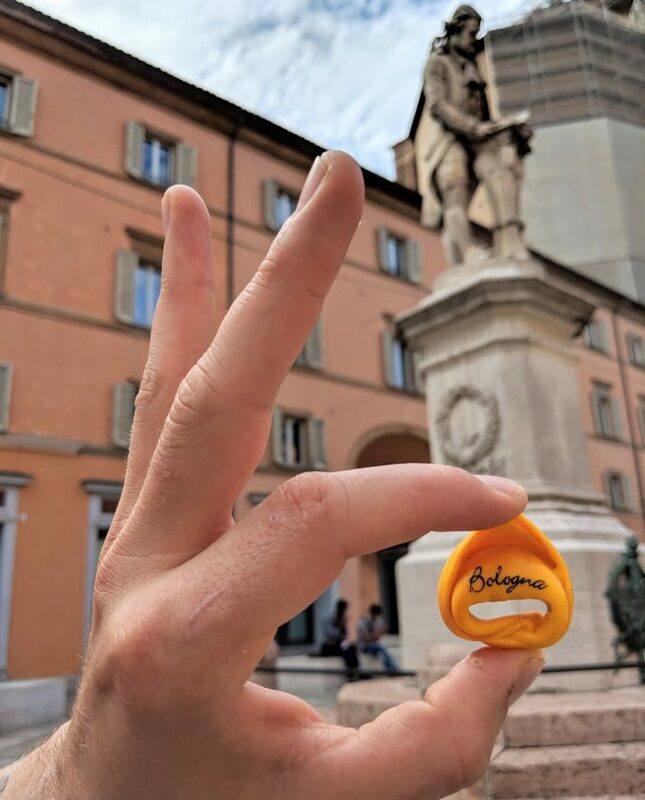 As well as being home to the oldest university in the world, Bologna is the birthplace of tortellini and ragu, and boasts the tallest medieval towers in Italy. First, Why Choose Bologna For Your Weekend In Italy? 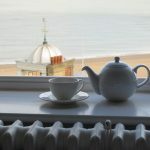 As a travel blogger I’m often asked the same question: what’s your favourite country in the world. My usual answer is that it’s a toss-up between Italy and Cambodia. 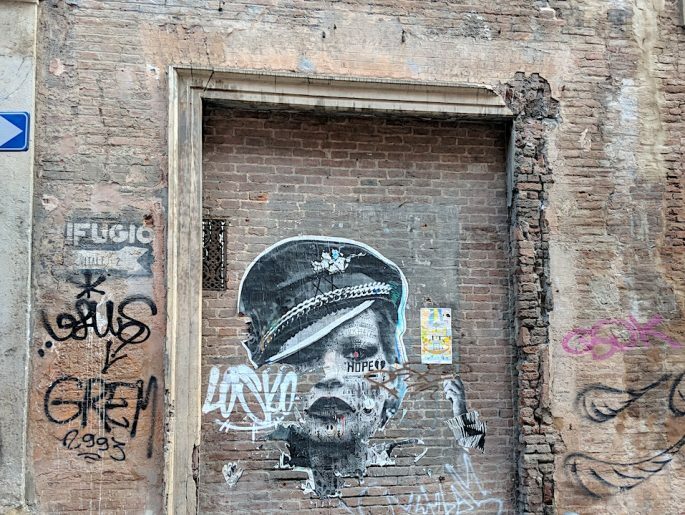 I’ve spent more consecutive time in Cambodia but I’ve been on countless trips to Italy – and there are plenty of reasons I’ll keep coming back. Reasons I keep coming back to Italy: #1 = Pizza! Sometimes Venice or Milan is mentioned but rarely Bologna. The best tip I can give a first-time traveller to Italy is to avoid the big hitters, and get off the beaten track at least for a bit – as gorgeous as Rome, Florence and Venice all are. 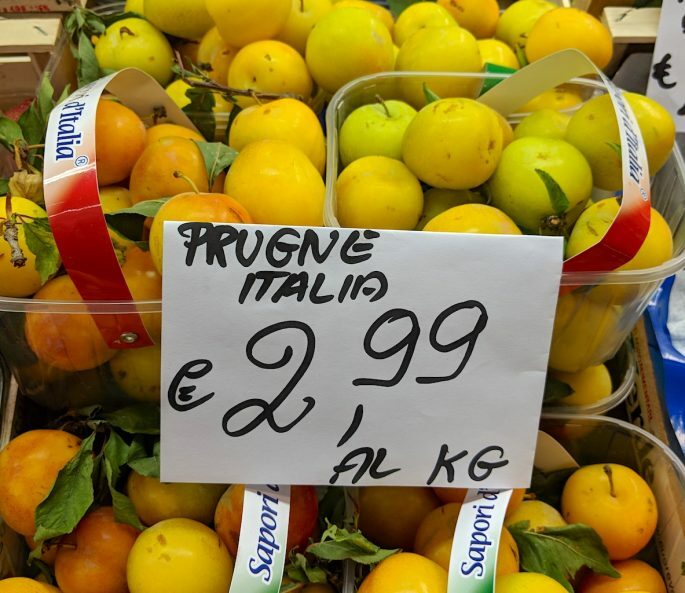 Italy can be a feast for all the senses and surprisingly good value, if you know where to look, but I can’t think of another European country where value for money varies more based on the area you choose to visit. 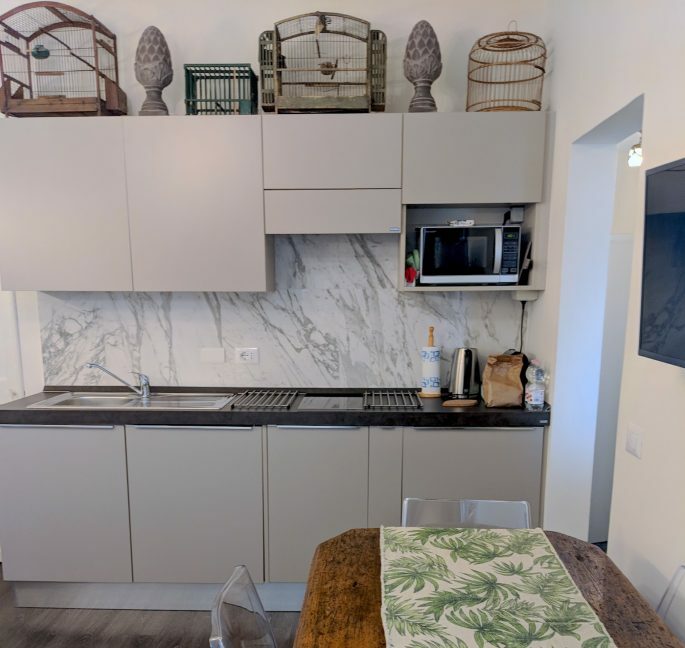 World class cities like Rome and Venice are packed with luxurious and correspondingly high-priced places to stay and to eat, and well-known regions like Tuscany are always able to demand higher prices due to their enduring popularity with foreign tourists. Plus the real Italy is friendly, slow-paced and delicious, and not packed with other tourists. 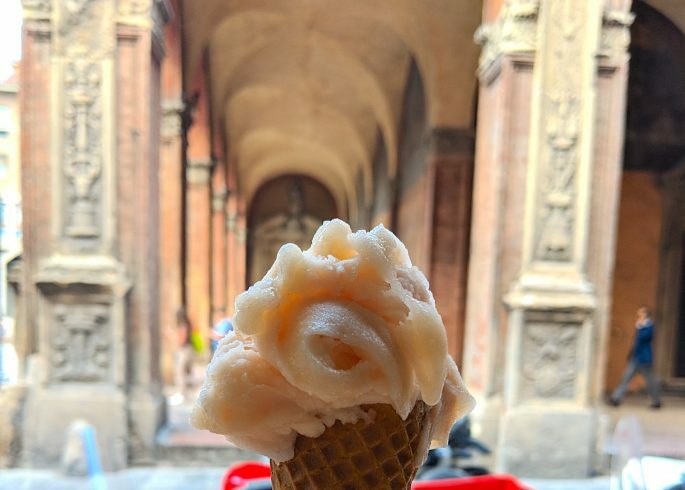 So if you’re looking for an Italian short break, and want to combine a stunning city with beautiful surrounding scenery and unparalleled eats, I want to let you in on the travel writer’s choice: the city of Bologna. 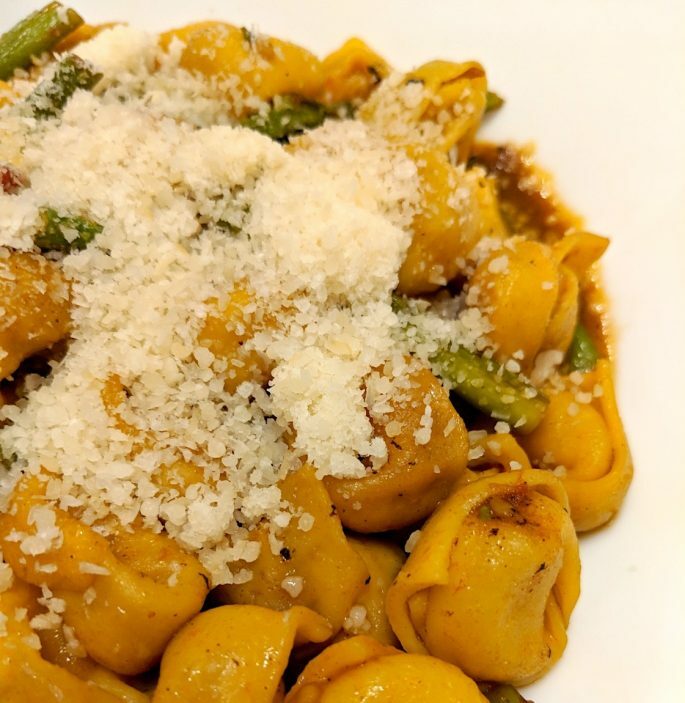 First and foremost, if you’re travelling for food you need to know that Bologna – and the entire region of Emilia Romagna – is the birthplace of a lot of the famous Italian foods you’re keen to taste on your trip. From balsamic vinegar and parmesan cheese to pasta and Parma ham, this area is home to classic Italian flavours which are prized all over the world, meaning that much of your souvenir shopping, as well as your holiday to do list, is going to revolve around the edible. Surely that’s got to be a good thing? Bologna makes an ideal base for excursions to food-producing towns – the Romanesque city of Parma is about an hour away, and en route you’ll pass the balsamic mecca of Modena. As well as the countless age-old specialist shops selling artisan food products, a new addition to the Bologna food scene is FICO Eataly World. Billed as the world’s largest agri-food park this is essentially Disneyland for foodies. 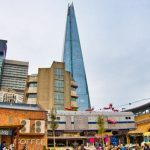 It is a vast indoor and outdoor space containing 45 restaurants along with a chance to see, touch and taste an incredibly wide range of first class ingredients. It’s hard to separate the food from the setting here in Emilia Romagna, but Bologna itself is also bite-sized: the perfect scale for exploring, you can get lost in its atmospheric alleyways and under its pretty porticos, while never actually being more than 10 minutes from your destination, or more than a few steps from your next gelato. 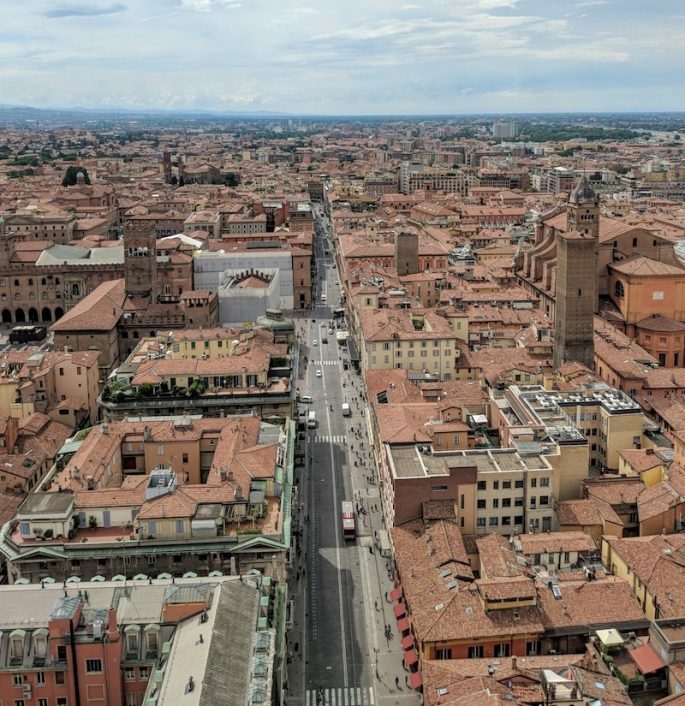 The view of Bologna from the Asinelli Tower is not to be missed. 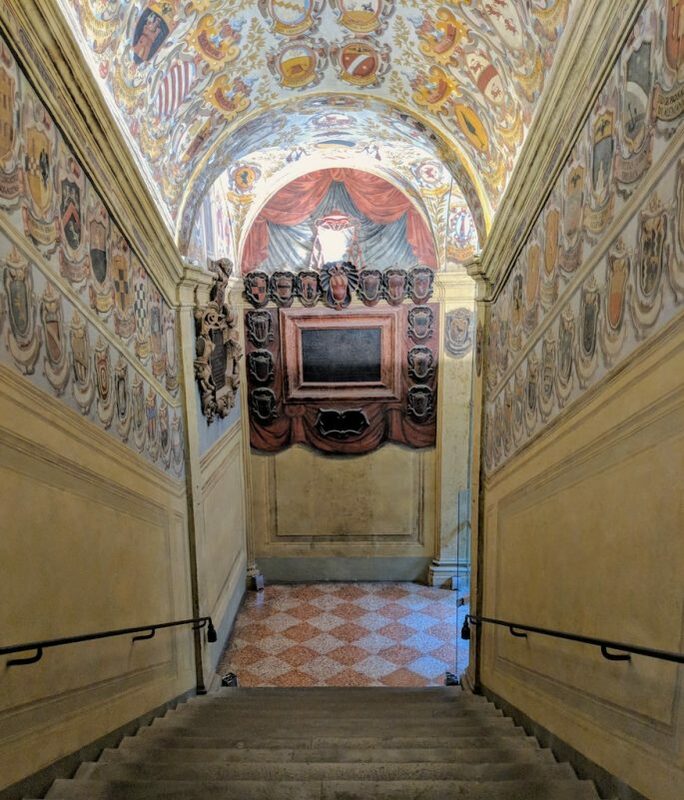 Bologna is absolutely dripping in history at every turn, but nowhere more so than at the university which was founded in 1088, making it the oldest university in continuous operation anywhere in the world. 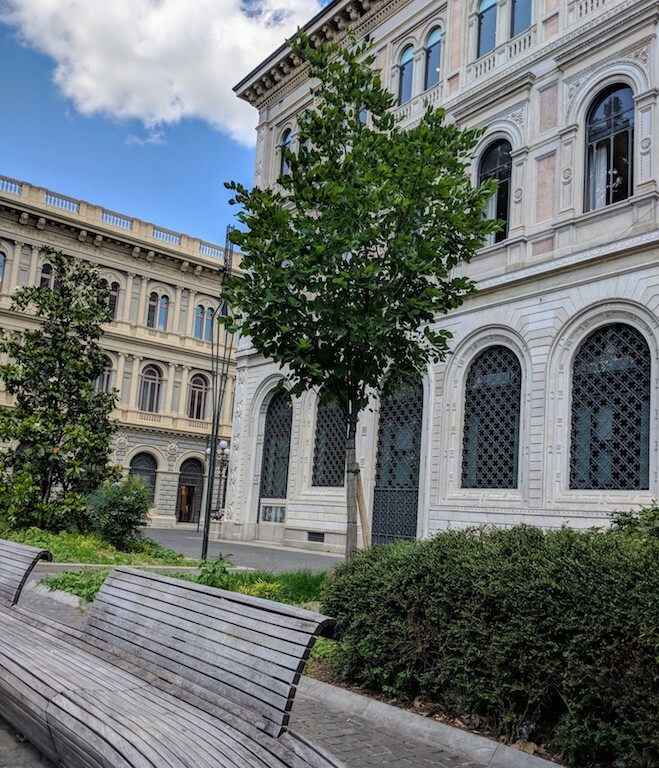 It remains one of the leading academic institutions in Italy, but where this seat of classical learning really comes alive for visitors, is, rather morbidly, the place where they studied death. The 17th century teatro anatomico is a spruce-wood-panelled anatomical theatre where students performed autopsies under the watchful eyes of a professor and a monk; the latter’s job was to ensure that science did not contradict the church. Whatever your personal beliefs though, the carved sculptures of Hippocrates and Apollo along with various astrological symbols, as well as the shudder-inducing marble slab, make for some thought-provoking examination during your weekend in Bologna. 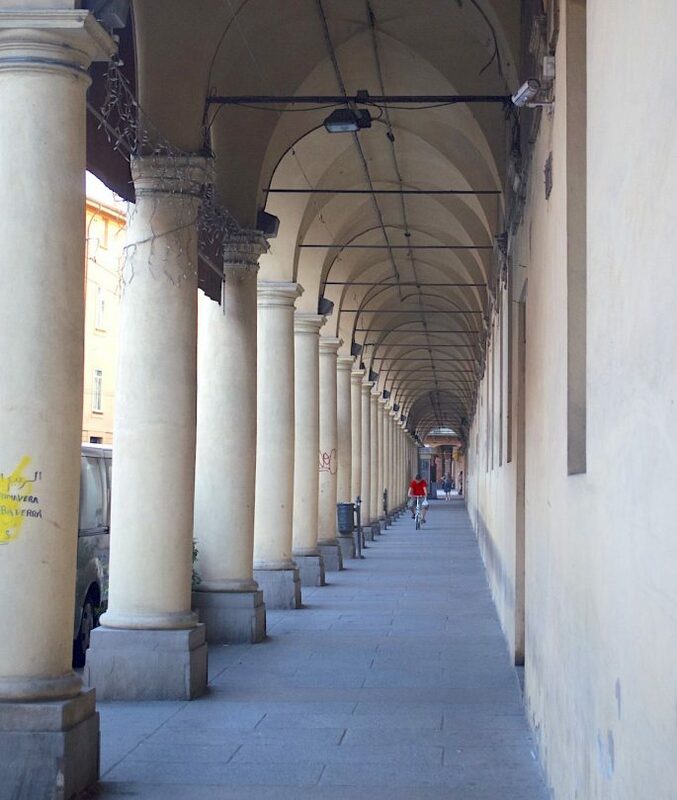 Bologna’s record-breaking 40km of porticos make it completely unique among Italian cities and helped to secure it UNESCO World Heritage status. 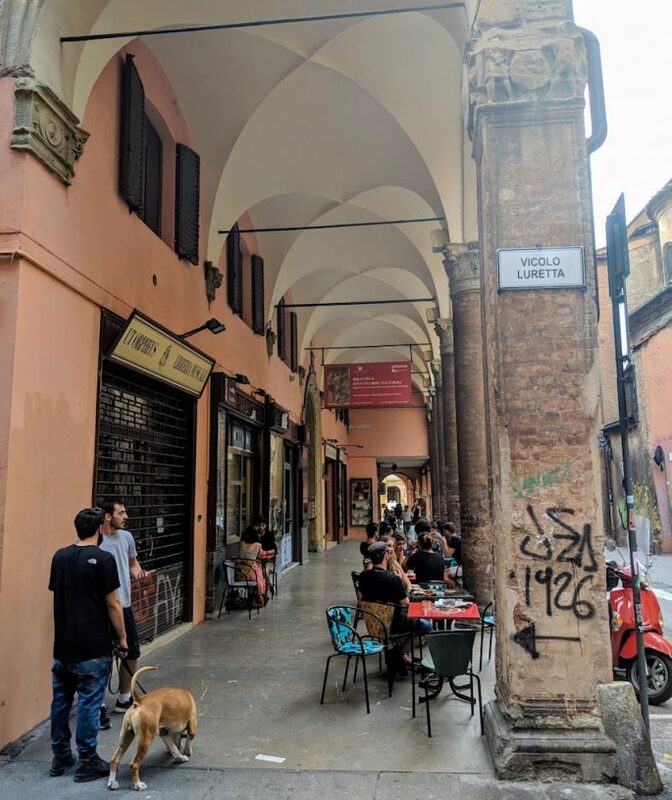 While other Italian centres banned the covered walkways, which protected medieval scholars from the elements as they scurried from one class to the next, Bologna began making them compulsory for buildings from the 1100’s. 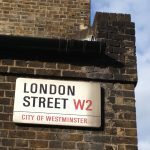 This means visitors to the city today can still enjoy an elegant stroll, or an outdoor coffee or snack, without getting wet or sunburned, depending on the season. The porticos are gorgeous and have an element of romance about them that can’t be beaten. They make for great photo opportunities too. 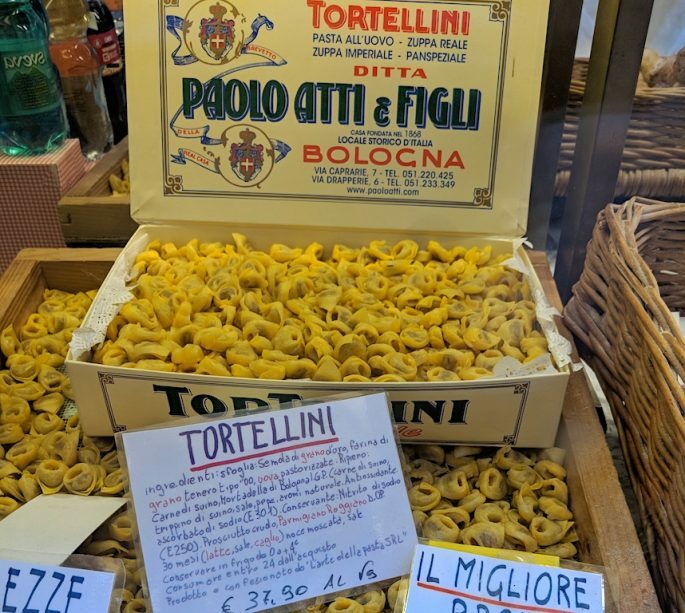 Tortellini is so synonymous with Bologna that many natives of the city, as well as students, get tortellini tattoos inked on their bodies as a nod to their pride in Emilia Romagna’s identity. 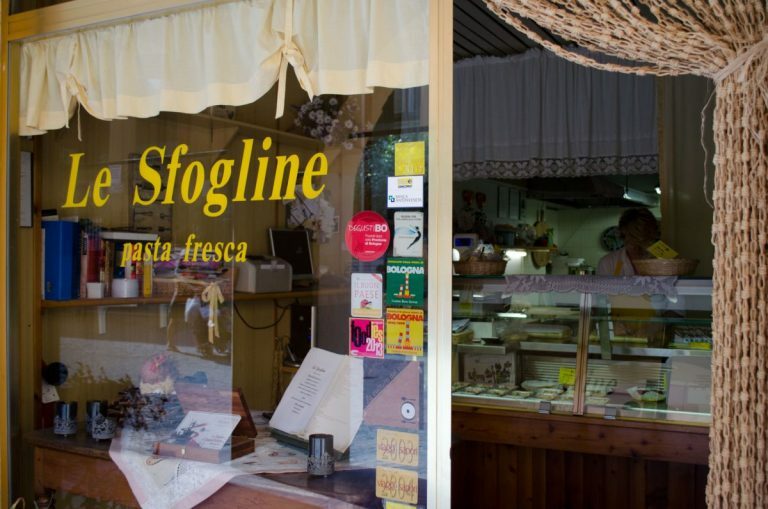 If a tortellini tattoo is a bit too much of a commitment for you then try the next best thing and hand make your own pasta at Le Sfogline, home of Bologna’s most celebrated cooking classes. 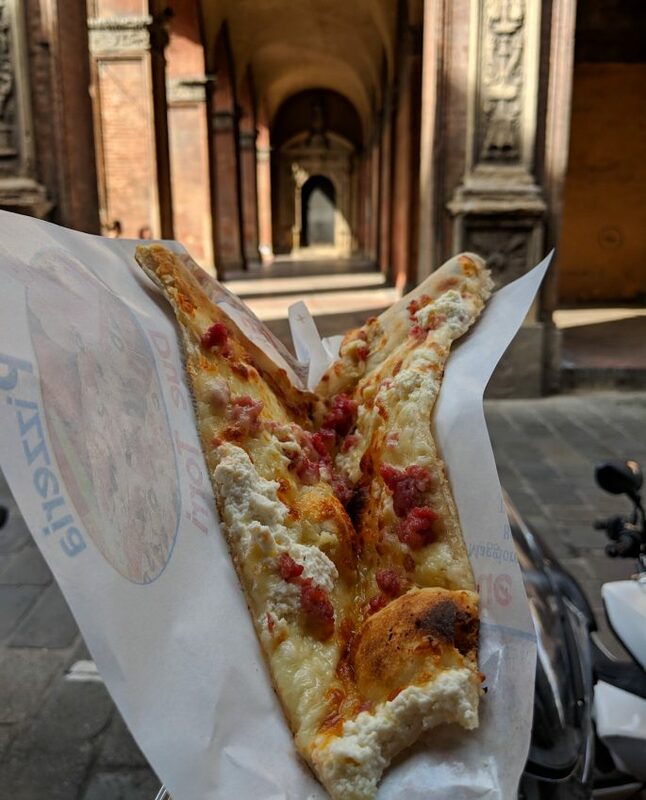 The tiny shop has been in Bologna’s Mercato della Erbe for 70 years but in recent years patrons have extended to include chefs like Rick Stein. 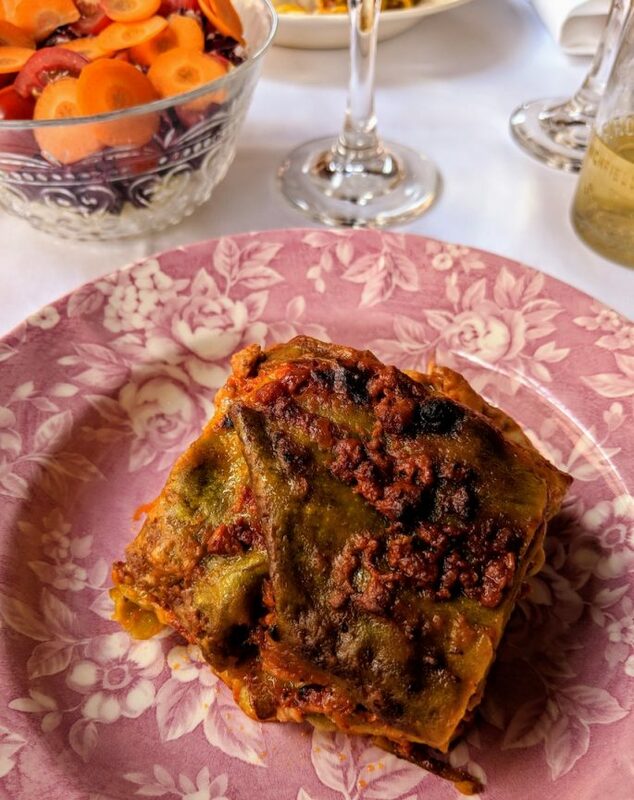 Here Daniella and sister Monica turn out lasagna, tortellini and tortelloni for local customers and turn your preconceptions of Italian mammas stirring up secret recipes handed down through the generations into a reality. You can learn how to make the dough from scratch, how to twist the intricate shapes, and little insider tips are shared – like the fact that the perfect tortellini weighs exactly 2 grams. If you don’t fancy doing all the hard work yourself, you can buy pre-made pasta to take home, and the courgette flower-topped lasagna is a real treat. 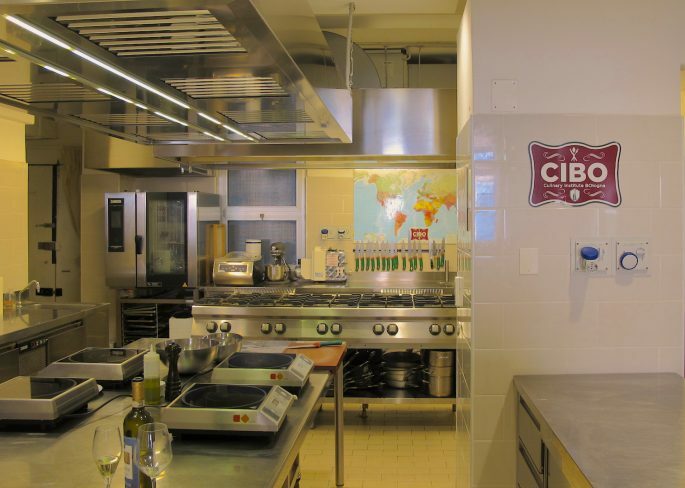 Alternatively, you can try the cooking classes at Cibo – The Culinary Institute of Bologna – which is directly opposite L8 Boutique Apartments. The famous ‘spaghetti Bolognese’ to which Bologna gives its name is a complete misnomer – the dish simply doesn’t exist, except in tourist restaurants. What you’re after here for authenticity is tagliatelle al ragù. 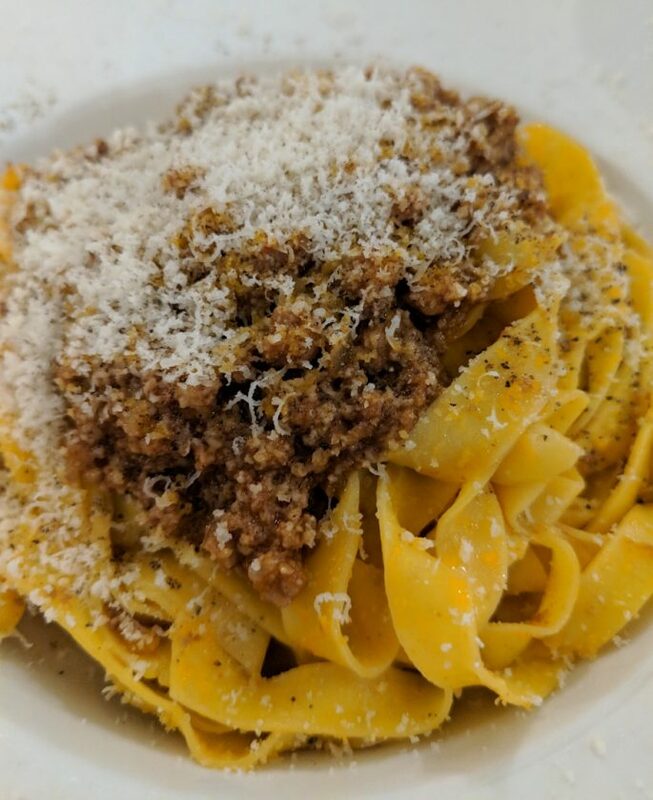 The signature sauce is always referred to as ragù, and a local Bolognese restaurant would never serve it with spaghetti; the pasta is considered too thin to be served with red meat, so it’s usually made with tagliatelle – which also happens to be native to the region. 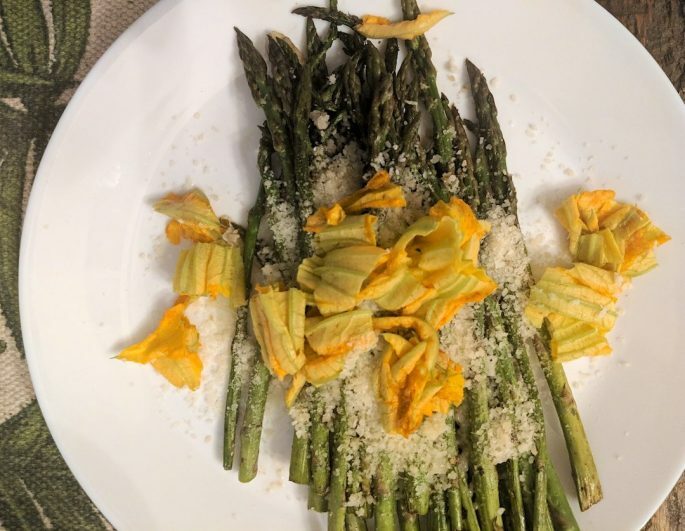 There are of course plenty of places to try the dish, but by avoiding the obvious pavement cafes and ducking down a small unassuming street you’ll find a bit of a secret spot popular with locals and business people Trattoria Gianni. On my midweek lunchtime visit plenty of Bologna locals are tucking into a long lunch complete with wine, and aside from one other table we are the only tourists. They’re called the Due Torre as there are 2 towers – the tallest (and straightest) is the one you can climb up. 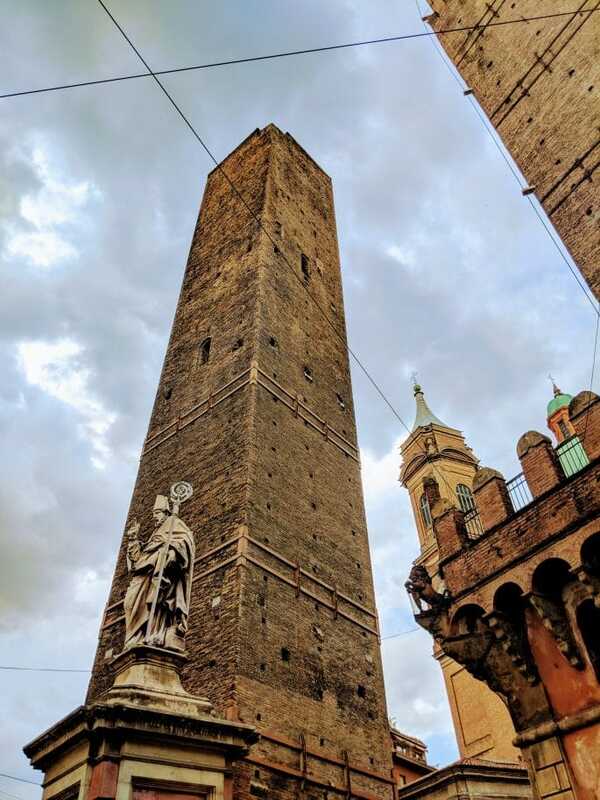 If you thought that avoiding the more obvious tourist centres meant you’d miss out on Italy’s biggest leaning tower then you’re in for a pleasant surprise during your weekend in Bologna. 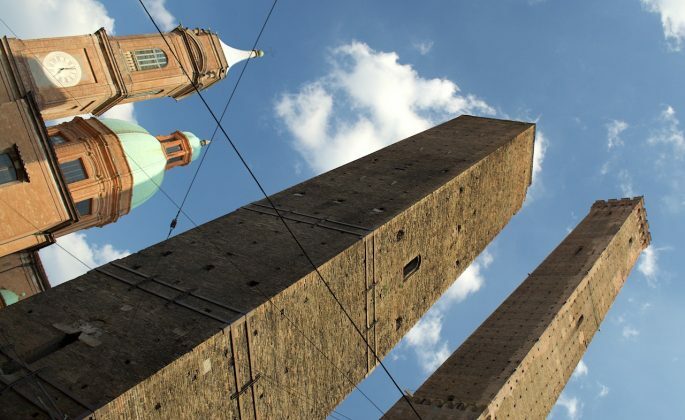 The Asinelli Tower is the most famous symbol of Bologna, and one of the few of the estimated 180 medieval towers which remain standing to this day – albeit now at a 1.3-degree tilt. An amazing feat of 12th century engineering with 498 steps leading up to the viewing platform, this 97m structure is almost twice the height of the Leaning Tower of Pisa. It is better known as The Due Torre – or the two towers – because adjacent to it is the Garisenda Tower so famous it was mentioned in Dante’s Divine Comedy, and its shorter sister now leans at an even more precarious 4-degree angle. • TOWER RECORDS • This is the view of Bologna from the top of the Asinelli Tower, one of the most famous symbols of the city. This amazing feat of 12th century engineering has 498 steps leading up to the viewing platform, making it not only the tallest tower standing in Bologna but also, at 97m, almost twice the height of the leaning tower of Pisa. 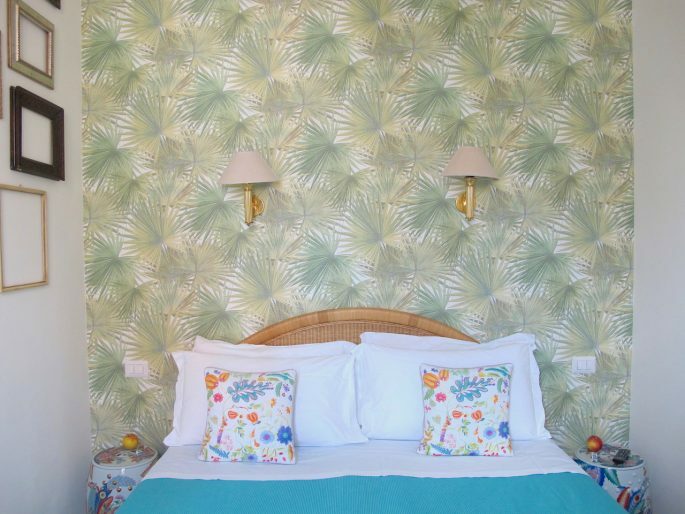 My bedroom at L8 Boutique Apartments – the colours match my blog! I’ve been to Bologna a couple of times and on both trips I stayed in an apartment. I’d highly recommend any visitor to Bologna do the same. 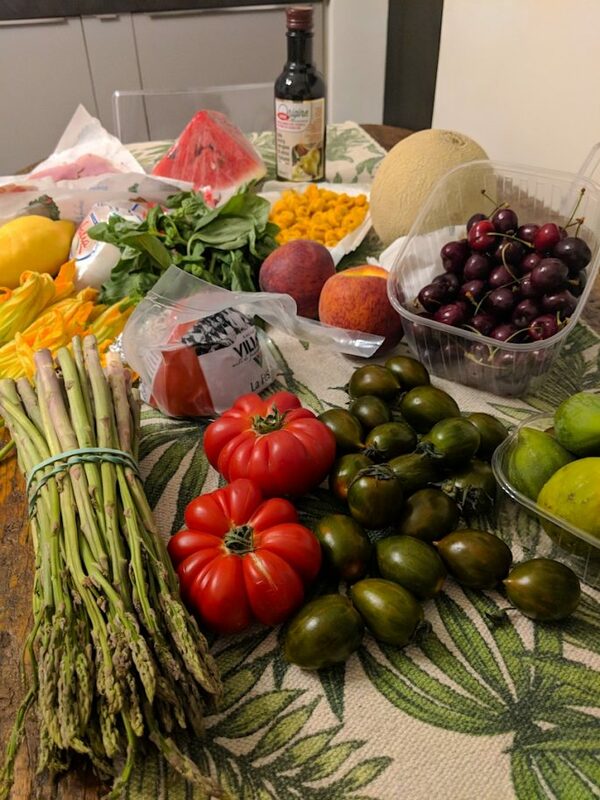 With so much incredible fresh produce on offer in Bologna’s shops and food markets – the sheer range and selection of pasta, cheese and ham is enough to excite anyone – it would be a crime not to have a kitchen in which to cook up a feast. 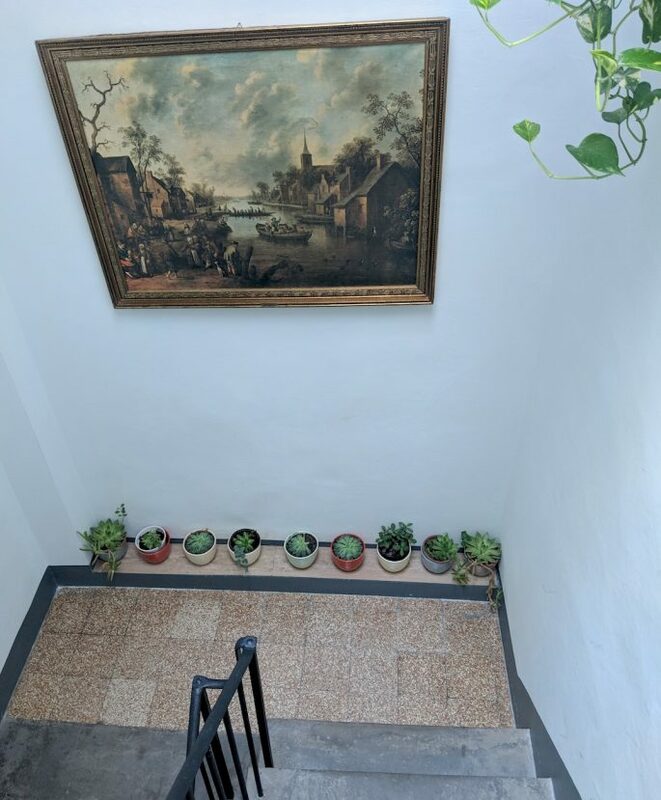 There’s also something utterly delightful about retiring to your own little bolt hole after a few hours of sightseeing, especially as apartment living in Bologna is characterised by character-packed old buildings blessed with roof terraces on which to enjoy your morning coffee or evening aperitivo. 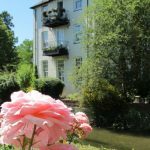 The pick of the crop right now is L8 Boutique Apartments, a newly refurbished historic townhouse which was passed down through the generations before being sensitively transformed by cousins Francesca and Federica into eight unique design-led apartments, all of which marry modern functionality with antique charm. 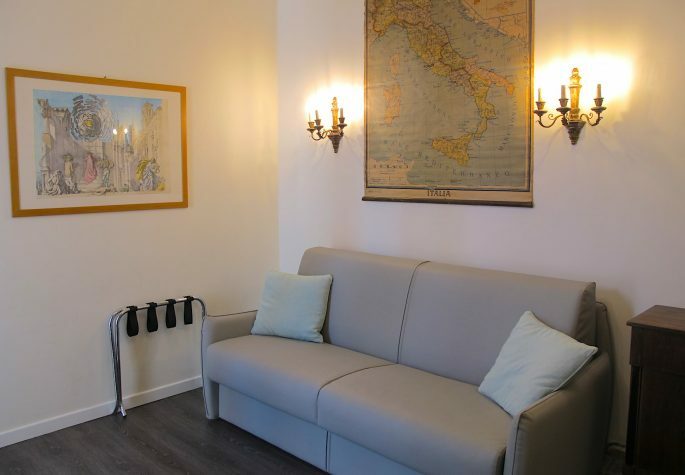 The perfect location in a quiet street moments away from the centre of town, makes L8 the place to be if you want to graduate from tourist wannabe to in-the-know local on your weekend in Bologna.